Cirrhonin helps remove stasis in the liver and helps break down the fibrotic tissues that cause hardening of the liver in advanced fatty liver disease, liver fibrosis, and cirrhosis. Brown and LC Balancer are also required to help nurture the liver. 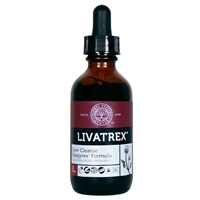 If the patient also has liver inflammation, Levera is also recommended. Patients may experience yellow or tarry stools as the fibrotic tissue and scars break down. When improvement reaches a plateau, Gold and Qi Booster may also be required to assist the liver in breaking down the hardened tissue. Gallbladder Formula helps clear gallbladder damp and heat. It helps reduce gallbladder inflammation, increase liver and gallbladder contraction, and relax the bile duct. 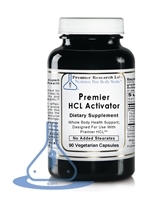 Brown and LC Balancer are also required to improve liver function. Hepavin helps remove liver heat and quench liver Yang Rising. Liver heat refers to an over response of the liver to stress hormones such as cortisol and epinephrine with over production of inflammatory chemokines by the liver Kupffer cell. Liver Yang Rising is caused by the brain’s response to the inflammatory chemokines. Studies have shown a link between high amounts of chemokines in the brain and brain inflammation. Hepavin helps reduce the liver’s exaggerated response to stress and reduce the production of inflammatory chemokines. 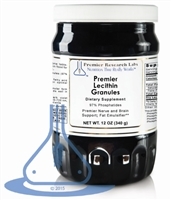 Brown and LC Balancer are also required to nurture the liver. Premier Biliven is an advanced formula to support comprehensive liver and gallbladder function. Its unique combination of specialized nutrients provide maximum liver cleansing and function and promotes efficient fat and blood lipid metabolism. A Probiotic-Generated liquid supplement for cleansing the gallbladder on the deepest level. Thermogenic botanical fat burner formula; efficient fat burning without ephedra! includes : Green Coffee Extract, Green Coffee Guarana, Garcinia, Ghrysin, MCP & more. Promotes metabolism and fat toxin digestion. Reishi Complex, P. (250 mg) 90 Vcaps, Spectacular ancient medicinal mushroom of long life; proven immune-boosting, liver, spleen and bowel support. Excellent source of vitamins including the D spectrum. Recover liver functioning!